It’s the season to be jolly, yet so much has happened since the previous issue. First up though is the sad news that ‘The Great Dane’ of sailing, Paul Elvstrom, died as this issue was being finalised. That has to be one of the greatest sailing quotes of all time. It’s such a pity that there are people in the sport who have never lived up to this. Apologies for failing to get an issue out in November, but back-to-back deadlines put a strain on my resources. However this is a bumper issue – the BIGGEST ever – and in a slightly new format too. The e-mail format newsletter you receive will continue to be text only, but the version on SAILING Gybeset (www.sailing.co.za/gybeset) will be accompanied by some pics. World Sailing has met and elected a new President. The Yacht Racing Forum is done and dusted. LandRover BAR has won the America’s Cup World Series. 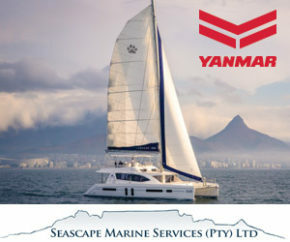 A locally built South African Catamaran has won TWO awards in the SAIL Magazine Boat of the Year awards. The Cape to Rio Race, presented by Maserati, starts at the end of this month and the Maserati Sailing Week is in mid-December. The Dabchick 60th anniversary is also being celebrated very soon too. And lots, lots more . . . – including some buffoonery! Oh yes, and lest I forget, SAILING Magazine’s Sailor of the Year has been announced in the January issue – so you will have to wait until after Monday 19 December to buy that issue and see who it is. As much as I would like to announce the winner now, I have to stay ‘mum’ until then. Before beginning to “Talk Sailing” it’s appropriate to wish all readers a wonderful, restful and spiritual festive season. May 2017 bring you 12 Months of success, 52 weeks of laughter, 365 days of fun, 8760 hours of joy, 525600 minutes of good luck and 31536000 seconds of happiness. • Ludde Ingvall – Remember Him? • Where is the FUN in sailing? Let me start by getting this off my chest. A few issues back I wrote about ‘Durban Dumbness’ and the fact that sailing in this city continues to dig itself deeper and deeper into the mire. Nothing has changed other than the situation has become even worse. Wednesday night racing has taken a turn for the worse as BOTH Clubs are now running races in opposition to each other on TWO separate courses. I know why this has come about, and accept the exasperation that has forced the PYC to go it alone. It’s unsatisfactory and anything but good for the sport which is simply weakening at every political turn made. Sad but true. An earlier issue mentioned that the Clubs cordially shared the Opening Cruise on alternate years. I fully subscribe to co-operation between Clubs and sailors as the more we support each other and build the sport, the stronger we will all be. Co-Operation between these two clubs goes way back too. Despite the RNYC claiming Rupert Ellis Brown as ‘one of their own’, and hold him in the highest esteem as he was elected Honorary Commodore in 1955. Interestingly he was also elected Honorary Life President of the Point Yacht on 29 October 1961. At that point he had completed 60 years of membership at the PYC – and had also held the office of Commodore – OF BOTH CLUBS. What did interest me most was the fact that in several issues of SA Yachting it was regularly reported that the “two senior Durban Clubs – the Royal Natal Yacht Club and the Point Yacht Club, co-operated at many levels. So why then does the RNYC today believe it is the ‘senior club in the country’ – and states this so called ‘fact’ regularly. And who gave them this right? Is it simply the massive egos of the people writing this that is really getting in the way of reality? Or is it true? I firmly believe that if any Club deserves ‘senior’ status it is the Royal Cape Yacht Club as it is a strong and profitable Club with a good membership, its own moorings, a bustling Clubhouse and sailing in great numbers on most weekends, as well as a healthy development element. It will take a mighty club to top all that? Buffoonery and petty politicking is destroying sailing in Durban. Some 149 professional photographers spanning twenty-five nations submitted a picture for the Mirabaud Yacht Racing Image 2016 and generated an exceptional selection of images that summarize the yacht racing season better than words. French photographer Jean-Marie Liot (FRA) won the main award thanks to an extraordinary picture of Morgan Lagravière training ahead of the Vendée Globe onboard his IMOCA ‘Safran’, entirely submerged by a wave at high speed. Mirabaud Yacht Racing Image of 2016. Based in La Trinité-sur-Mer, in Brittany, Jean-Marie Liot has been working as a professional yacht racing photographer since 1994. His assignments allow him to travel around the world, working for many skippers, sponsors and races and collaborating with the greatest yacht racing magazines. Nico Martinez (ESP) won the Yacht Racing Forum award, chosen by the delegates from both World Sailing’s annual conference in Barcelona in November and the Yacht Racing Forum. Christophe Huchet (FRA) won the public award, selected by the number of votes on Internet. 34 680 votes were taken into account, whilst 1,8 million pages have been viewed on the event’s website. When I first became aware of the Dabchick Class 60th anniversary, my interest was of course piqued as I learnt to sail on a Dabchick way back in 1968 when the class rules dictated that it was a two-person boat. It’s a boat I have a particular fondness for, and have often lamented the fact that the class took the decision to turn it into a singlehanded boat. My reasoning for being against the singlehanded rule is that EVERY time a Dabbie was on the water there were TWO people enjoying the sport. I also firmly believe that two kids on a boat will have a days fun, while one alone will be ashore soon after launching! These anniversary celebrations are far more significant than just celebrating a successful class as we get to honour the man who conceived her. The fact that the boat has stood the test of time, and that it has given so many people the world over so much fun that even today, many years after last sailing one, they can still enthuse. Now only a great boat can do this. I mentioned the fact that it has given people the world over so much fun, which is not in dispute. What is fascinating is that a book entitled ‘Classic Classes’, written by Vanessa Bird, includes the Dabchick within its pages. Published in 2012, Classic Classes elevates the Dabchick to ‘iconic’ levels. We salute you Jack Koper. May I suggest that those interested in reading more about this iconic class, get a copy of the December issue as it has a montage of pics, supplied by Gerhard Koper, of ‘Dabbies through the ages’, and loads more too, with memories of their sailing days from some key ‘old Dabbie hands’. My first sailing experience ever was on a Dabchick on a dam in the KZN Midlands almost 50 years ago. I was hooked and have never looked back. That’s why I have such respect for this simple boat and have embraced its 60th anniversary. The group I sailed with raced regularly, and when there was no racing we simply spent time on the water having fun, racing each other informally, capsizing (because we could without fear) and simply doing what boys do in their spare time when a group of like-minded kids get together. My passionate plea to the Dabbie Class is to please promote the two-handed aspect more than it has been, as if nothing else it will grow the class, plus instill more confidence in the newcomers who will sail with someone more experienced than themselves. Racing is not everything at that level, nor in that age group, as having fun in a boat at a young age is what will turn kids into lifelong sailors, rather than yesterday’s racers! I view Frans Loots as an unsung Dabbie hero, as at the age of 60 he now owns his first ever Dabbie! Since refurbishing the boat he was given, he has sailed one for the first time too. For all these years he has been deprived, and now at a ripe old age – I suppose one can consider that he has ‘come of age’ having sailed a Dabbie. Well done Frans and thanks for sharing your story – which can be read in the December issue of SAILING. As of 1 January 2017 the new RRS come into play. For those who ‘think’ they know the RRS, my suggestions is to NOT think and to get a copy and study them very carefully as be assured that when next on the water the guy next to you will have studied them and will throw a rule at you that you have never heard of before – and which could result in a protest or DSQ. You have 2 options. Download a copy from the World Sailing site, or buy a copy of the book ‘The Rules in Practice’ written by Bryan Willis which explains the new rules very clearly and concisely – and with excellent diagrams too. There were threats of a Rule 69 transgression being issued recently when a sailing WhatsApp group became embroiled in what can only be described as ‘club politics’. It surprises me that anyone can really believe that a Rule 69 protest could be lodged for any and every transgression off the water and in the Clubhouse. Get real please. The Racing Rules of Sailing (RRS) govern the sport on the water – and nothing more. SAIL Magazine has announced the winners of SAIL’s 2017 Best Boats Awards. After a flurry of radical innovations in recent years, SAIL’s executive editor Adam Cort says the Best Boats winners for 2017 might appear a tad less “cutting-edge” than their predecessors. However, anyone who thinks the boatbuilders and naval architects of the world are losing their edge couldn’t be more wrong. The latest generation of production boats may not offer anything as radically different as full-foiling performance was a couple of years ago, but it is still breaking new ground: whether it be in the form of a cutting-edge electrical system or a ‘family’ sailboat that provides boatspeeds in the teens. Well done to everyone who had a hand in this project – it shows that the South African industry can be innovative and compete with confidence against the best in the world. There is a definite revival of ocean racing in this country. The Vasco da Gama Race has attracted renewed interest in the past two years, and continues to do so. The recent Mossel Bay Race exceeded expectations with a strong entry. Now Geoff Meek tells me that the old West Coast Offshore race is being revived, and he is the organising Chairman which is appropriate as the race is in memory of his brother Rob Meek. Rob was passionate about resurrecting the incredibly popular Sea Harvest Race, a 180nm course, with its classic shore hugging short beat back into Saldanha. The course takes one from Table Bay to Elands Bay with the finish in Saldanha Bay. It starts on 24 March 2017 and will have 3 classes for all keelboats which comply with Cat. 3 safety requirements. Four men who were found guilty of murdering top SA sailor Rob Meek have been sentenced at the Port St Johns Circuit Court. Judge R Griffith handed out three of the men an effective 18 years imprisonment while a fourth would serve an effective 20 years. The men were charged with murder, attempted robbery, possession of a firearm and possession of ammunition. The four men were arrested in a village close to where the murder took place. Meek, who was also a top urban designer, had posed for a photograph with family and friends at a Wild Coast beach house at midnight to mark the New Year in 2014. Seconds later, he was murdered. The armed assailants wearing balaclavas, who had apparently intended robbing the group, shot him and fled the scene. In his judgement, Griffith said that given society’s clear “abhorrence for such crimes”, the sentences should serve as a strong deterrent to the accused and others. He added that the men showed little remorse for their crimes. Rob Meek was a lifetime sailor, a Dabchick National Champion in 1968, and winner of many sailing championships during his career. He had a passion for offshore racing and promoted this far and wide. Adding to the festivities of the magnificent milestone in their 125th anniversary year in 2017, the Point Yacht Club is delighted to announce the return of the Mauritius to Durban race. This will be the seventh edition of the challenging race that is due to start in Mauritius on Saturday 17 June 2017. The last time this trade wind race was held was in 2005 where ‘Warrior’ took both the line and handicap honours. Gumption- skippered by Nicholas Mace. The first time the 1,690 nautical mile event was held was in 1985 and 32 years later, the race returns. Boats entering the race will be eyeing out the record of 6 days, 8 hours and 32 minutes as the time to beat. The extraordinary race record was set in 1989 by ‘Get More Fun’ skippered by Terry Clarence and owned by Dave Reese. “We have had some keen interest; both locally and internationally encouraging us to resurrect the race and leading up to the announcement a couple of boats from Mauritius and Reunion have said they would love to participate. If we get a fleet of 15 boats, I think we can be proud. It is an auspicious year for the club, and I think this is a completely fitting way to celebrate. If there are insufficient entries by 15 February, the event will be rolled over to the same time the following year in 2018.” continued Crockett. There will be IRC, ORC and PHRF divisions, as well as a multihull division. The race will start on Thursday 27 April 2017 in Durban and finish 400nm later in Port Elizabeth. There are some changes to classes for the 2017 race, with a Two-Handed division being included this year. This has been included due to requests the organisers have received in the last two years. There are additional requirements for those wanting to enter this division – including a qualifying passage. This class is aimed at permitting cruising type boats to compete safely and make the finish in good time to enjoy the festivities the Algoa Bay Yacht Club provides. The Rally Fleet may motor for 8 hours in every 24 from the start, and have unrestricted use of autopilots. This is one of the few races which permits multihulls to compete in either a racing or cruising division. So, if you are a multihull owner, please give some serious thought to entering and being part of this classic ocean race. An aspect of the race that simply blows people away is the incredibly accurate ‘race trackers’ which allows loved ones and followers at home to keep tabs on the race, almost in real time, with just 15 minutes between updates. The tracking service is supplied by YB Tracking and sponsored by Gutsche Investment & Management Services (GIMCO) who have committed their sponsorship again for 2017 due to the huge following the race received, and the positive feedback. Interestingly, the YB Tracking app for mobile devices was downloaded by over 800 people – a number which staggered the tracking suppliers as this was higher than for some key European races they are involved in. The race was followed in 31 different countries and had just under 5000 followers at its peak. A new study by University of Miami (UM) Rosenstiel School of Marine and Atmospheric Science researchers found that the Indian Ocean’s Agulhas Current is getting wider rather than strengthening. The findings, which have important implications for global climate change, suggest that intensifying winds in the region may be increasing the turbulence of the current, rather than increasing its flow rate. Using measurements collected during three scientific cruises to the Agulhas Current, the Indian Ocean’s version of the Gulf Stream, researchers estimated the long-term transport of the current leveraging 22 years of satellite data. They found the Agulhas Current has broadened, not strengthened, since the early 1990s, due to more turbulence from increased eddying and meandering. One of the strongest currents in the world, the Agulhas Current flows along the east coast of South Africa, transporting warm, salty water away from the tropics toward the poles. The Agulhas, which is hundreds of kilometres long and over 2,000-metres deep, transports large amounts of ocean heat and is considered to have an influence not only on the regional climate of Africa, but on global climate as part of the ocean’s global overturning circulation. The South African yachting industry contributes R1.5-billion to the country’s economy and is growing on the back of events such as the Cape2Rio presented by Maserati. The country has become a world leader in the building of catamarans and masts and making sails. Events staged off its coast also give the local economy a boost: for example, preparing a single racing yacht for the Cape2Rio can cost in the region of R1.5-million. Vanessa Davidson, CEO of the Marine Industry Association of South Africa, said “a recent study identified that for every R1m investment in marine manufacturing there is a multiplier effect of R2.77m”. ”The boat building industry is estimated at R1.5billion per annum contribution to GDP, with 95% of product being exported,” she said. “Our global niche advantage is catamarans and our ability to do high-end customisation,” she added. “We also produce aluminium sailing boats and aluminium commercial craft. We are world leaders in mast building and sail making. He added: “The South African Yachting Industry is currently very buoyant and especially so in the export of yachts, and more specifically catamarans, both sail and power. The biggest player in the SA boat building field is Robertson and Caine, who build close to 200 boats annually and export close to 100% of these craft. 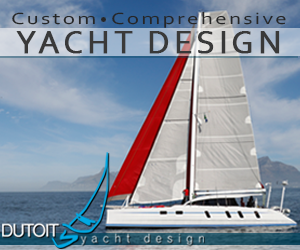 The focus of the boat building industry is in the Western Cape (12 yards concentrating on catamarans and two yards building monohull sailing yachts) with a smaller hub located in Cape St Francis (three yards building catamarans) and Knysna (also three yards building catamarans). So how expensive is it to take part in an event such as the Cape2Rio? “This is largely dependent on the size of the boat and the team: the more racy a boat gets the more professional the team becomes, which means paying crew salaries, their accommodation, meals and flight costs,” said Hale. “With our campaign we have employed two professional sailors, with the most important specialist being the navigator. The top navigators have years of experience as well as some form of formal education around weather, for example, a degree in meteorology. The satellite communication equipment and airtime is expensive, however it is necessary when employing the services of a top navigator. “Our boat Vulcan was primarily an in-shore racer and quite a bit of work had to be done to convert her to an off-shore boat. This included installing pipe-cots (beds), a water maker (desalinator), life raft, emergency equipment, extensive medical kit, crew storage bags and then some new sails for offshore racing. “Our crew of eight with the guidance of a dietician from the Noakes Foundation, will be eating freeze dried food along with ample coffee and high protein snacks such as biltong, nuts and protein bars. As far as clothing goes, Helly Hansen has provided the wet weather gear and each crew can take along two or three tee shirts, a couple of shorts and loads of under wear for the two week passage. “The boat and mast is also x-rayed to ensure that there are no fractures or cracks in the carbon fibre and a complete fairing of the underside is done to ensure that all the surfaces and foils are smooth. To run a Cape to Rio campaign with eight crew can cost anything up to R1.5 million,” said Hale. The Cape2Rio 2017 yacht race presented by Maserati is a 3500 nautical mile transatlantic race – the longest of its kind – was first raced in 1971 and has attracted the world’s best sailors over the years. The first fleet departs Cape Town on 26 December 2016 with the racing yachts leaving a few days later on 1 January 2017. The 2017 edition has attracted entries from over 10 countries, once again ensuring that it is a truly global event. They come from as far afield as Germany, the USA, the UK, Australia, Angola, South Africa and more. South African Sailing (SAS) has taken a significant step in the transformation of the sport in South Africa with the appointment of its first full time CEO and a dedicated Transformation Councillor. Greg Smith and Golden Mgedeza were appointed into these roles with effect from 1 November. The goals are to grow substantially the number of participants across all disciplines of sailing, open the sport to all South Africans and develop the future heroes of the sport such as Olympians Asenathi Jim, Roger Hudson and Stefano Marcia and our own Volvo Ocean racing icon Jan Dekker. Speaking about the appointments, SAS President Philip Baum said: “It is critical that sailing reaches out to a wider community. Its very survival depends on it. “Without significant growth and a dramatically transformed body of sailors we will cease to exist as a sport. The exciting consequences of success include building a cohesive country at a time when many are missing each other, as well as attracting substantial sponsorship to fund our very ambitious strategy. “Of course a goal is to achieve success at major international competitions. But that is only one of a continuum of ambitions. The prime focus is to grow the numbers and transform the sport. With 100 000 sailors of all backgrounds, with gender equality and being strongly representative of all, including disabled sailors, sailing will be a driver of national achievement. Happily we have already made a start on the journey,” added Baum. New CEO Smith, who has held senior executive leadership positions at Green Cross Footwear, Polo Clothing and Nike, is relishing the challenge. “It’s immensely exciting because I think the opportunity with sailing is that it’s not age reliant. You can sail from when you’re little until you’re way into your years. “I think that’s the appeal that probably hasn’t been put out there. There’s probably also a whole lot of perception that has to be revamped around sailing and that it is actually very accessible. It’s a very nice bunch of people – and I think maybe they’ve gotten a bit of a bad rap over the years in terms of a bit of an elitist positioning,” added Smith. “There’s a strategy that’s in place already. I think the recognition was that in order to deliver on that, SAS – obviously being a largely volunteer environment – needed someone permanently on the ground to get the traction that’s required. Mgedeza points to the example of golf in Gauteng as a successful model of how a sport can be transformed to include all races. “Golf has changed its own face in Gauteng where there are a lot of upcoming black people who are golfing a lot on weekends. Why can we not have black sailors?” reckoned the former SAILING Magazine Sailor of the Year, who was the bowman of Team Shosholoza – the South African yacht that competed in the 2007 America’s Cup. “We’re not only looking at sailing from a development point of view as I can see a lot of yacht clubs – when they look at a black person and sailing it’s thought to be development, but we need to get away from that point of view. We need to create an environment where it’s possible for any black person to be able to enjoy sailing as a sport – like enjoying soccer or rugby or golf. “There are quite a lot of middle class black people who are now into the trend of enjoying nature and being outdoors and if we can sell it in that manner I’m sure it will grow as an outdoor family sport. “We already have lots of development programmes in place, but we have not looked at the market that can actually afford to go sailing and we need to delve into that. Describing the choice of Smith and Mgedeza, Baum explained: “Greg’s key attribute is his passion for people and his absolute determination to give a diverse group of South Africans the opportunity to work and play together. “He also brings a demonstrated commercial capability and leadership skills to the next crucial stage of the development of South African Sailing. We are very fortunate in having attracted a person of his calibre to take on this full-time role. “Golden’s passion for the sport and the opportunities it offers for personal growth, education and development is obvious and infectious. He has lived the journey. From a background as a naval cadet he was a graduate of the Izivungu programme, became the bowman of ‘Shosholoza’ in an America’s Cup campaign and an internationally rated match racer with Ian Ainslie. “A former SAILING Magazine Sailor of the Year, he has selflessly, at an extremely busy time growing an executive career, starting a family and furthering his academic qualifications, responded to the challenge of giving back to the sport which has given him so much. At its foundation the SAS strategy is both to professionalise the management of the sport and to transform it. These appointments are the essential building blocks in the execution of the strategy. Kim Andersen has been elected as World Sailing President. A number of decisions were taken on the future of the sport from Offshore sailing, Paralympic sailing, the Olympic Games and strategic priorities for 2017 and beyond. Pierre Fratter-Bardy from the IOC Sports Department presented Agenda 2020, outlining the strategic roadmap of the Olympic Movement. Agenda 2020 will put the athletes at the forefront, show Olympism in action, unity in diversity, the IOC structure and organisation and the uniqueness of the Olympic Games. Fratter-Bardy explained that the IOC aims to have all National Olympic Committees in the world to participate at the Olympic Games, increase viewership and promote the value of the rings. Gender equality within the Olympic Games is constantly evolving and Fratter-Bardy presented sailing’s statistics. At Beijing 2008 35% of athletes were female, London 2012 37% and at Rio 2016 43%. At Tokyo 2020, the IOC want to achieve full parity and the upcoming Youth Olympic Games will be the first Games where it will be 50/50. World Sailing Council endorsed the principle of 50/50 gender equality in sailing athletes for the 2020 Olympic Games. Fratter-Bardy also outlined the IOC’s decision making process in deciding all of the sporting events at the Tokyo 2020 Olympic Games. The number of athletes competing at Tokyo 2020 will be capped at approximately 10,500 athletes with 310 medals available. World Sailing’s Council worked through submissions and recommendations made from the expert Committees and Sub-committees. The Sustainability Commission will be a consultative body of global experts to advise World Sailing on the development of its sustainability vision, strategy and practical implementation within the sport, in support of World Sailing’s new position of leadership in the sustainable sport movement. The 49er, 49erFX and Nacra 17 will have multiple races on the final day of the Tokyo 2020 Olympic Games. The 49er, 49erFX, Men’s and Women’s Skiffs will do Theatre Style Racing over a short windward leeward course with lane boundaries constricting the racing area. The Nacra 17, the mixed multihull, will conduct modern America’s Cup style racing over a short course that will include a reaching start to a windward mark, then leeward – windward – leeward to a reach finish. World Sailing Council approved the recommendation from the Oceanic and Offshore Committee to introduce a combined rating World Championship. This will see the IRC and ORC work towards a jointly scored World Championship and team World Championship from 2018 onwards and a new combined Offshore World Championship based on existing offshore events. The sport of sailing is so diverse that it would be impossible to address all the issues, opportunities and challenges, but the gathering of just over 280 delegates from around the world gave it a good try – with many interesting topics debated and questions asked. Below are some highlights of this annual forum, of which SAILING Magazine was a media partner. A strong part of the Forum’s appeal is to share ideas about new developments in design, materials and technology, but also to debate the risks and safety implications; an area where the Yacht Racing Forum plays a pioneering role, being the only organisation to address those issues with speakers spanning the entire spectrum of yacht racing. The Risk Management & Safety conference marked the second anniversary of Team Vestas Wind’s catastrophic encounter with a reef in the Indian Ocean during the last Volvo Ocean Race. While the race winning skipper, Ian Walker, was sitting in the audience, it was the Vestas navigator Wouter Verbraak who took to the stage to relive that horrific moment. “The only way to improve is to admit your mistakes,” said Verbraak, who has been widely praised for his candour and honesty following his widely-publicised error. He used the stage to draw attention to the limitations of both electronic and paper charts. “Paper charts are of no use on a MOD70 when you’re doing 35 knots in the Caribbean,” he said. Learning from accidents is one thing, but planning for the worst before it happens is even better. That was the theme of Mike Gascoyne’s address to the Forum, as the motor racing engineer shared his experience of heading up the technical side of many Formula One teams. “You have to design for the unexpected,” he said. “That’s what we do in Formula One and that’s what should be happening in yacht design.” He said it wasn’t good enough to say that yet another canting keel failure was just an unfortunate accident. Good design, he said, requires hard lessons to be learned and incorporated into the design cycle, rather than dismissing these incidents as an unavoidable accident. On the subject of pre-emptive action, yachting journalist Rob Kothe asked the unaskable to a panel discussing the merits of foiling. “Are we going to wait for a collision and a death before we make changes to the design of foiling boats?” said Kothe. One of the ‘live’ moments of the Forum was Alex Thomson’s appearance on the satellite phone during the lunchbreak. The Hugo Boss skipper did his best to give an update from the foil-assisted Hugo Boss as he charged through the Southern Ocean. Andy Hunt, the CEO of World Sailing, said his organisation would start to think in much more commercial terms than it had in the past, and to broaden its focus across the whole sport. Where in past Yacht Racing Forums there has been a lot of vocal criticism of World Sailing, speakers and delegates seemed happier with the more defined direction of travel of the sport’s governing body. Bringing 145 member national authorities with him on that journey may yet prove challenging, but Hunt has the mandate to make some strong moves that should mean World Sailing becomes more relevant to the wider sailing community. 2. Existing class or new class? The Design & Technology Symposium focussed on the latest innovations including foiling, the integration of more composite materials in the design process, developments in superyachts and innovations in sail design and construction. Juan Kouyoumdjian made a welcome return to the Symposium after a few year’s absence, to share his ideas on where big boat racing is going for the future, such as the possible creation of a Super Maxi class. His talk was part of a long discussion on what’s become a wildly popular class of superyachts, with 170 boats now competing around the world with superyacht racing certificates. By combining its expertise and the competence of naval architects, the Beneteau Group is offering the Figaro class the first one-design production foiling monohull ever devised. In 2019, as the Solitaire URGO– Le Figaro race celebrates its fiftieth anniversary, the Figaro Beneteau 3 will take over from its predecessor, the Figaro Beneteau 2, which has been sailing the length and breadth of the French and Atlantic coasts since 2003. The boat is designed by naval architects Van Peteghem – Lauriot-Prévost, whose designs won the last two Vendée Globes and are likely to be on the podium for the 8th edition, the latest of the Class Figaro one-designs is in safe hands. “The challenge of the brief we were given, naval architect Vincent Lauriot-Prévost explains, was to create a boat that performs well and is as reliable as the Figaro Beneteau 2. We worked extensively with the specialists from Beneteau Group to design a hi-tech boat in terms of both manufacturing materials and processes. Still with a heavy emphasis on top-level performance and competition, the Beneteau Group has gathered together the leading experts within its brands and its trades to design and build this latest iteration. In this way, they’ve brought their know-how into play with the creation of the one-design by VPLP. The first prototype is entering the build phase and will be ready to be launched and trialed over the course of the summer 2017. Each and every edition of the Rolex Sydney Hobart Yacht Race is unique, characterized by its own distinct narrative and celebrated achievements. This year marks the 72nd edition of the offshore classic with just under one hundred confirmed entrants, comprising living legends, past winners, intrepid first timers and competitors from across the globe, all determined to spearhead a new chapter in the race’s proud and fascinating history. The 93-strong fleet currently registered comprises four 100-foot Maxis, nine former race winners and a host of Corinthian entrants, including the smallest and also the oldest yacht in the fleet, Sean Langman’s 30-foot, 1935 build ‘Maluka of Kermandie’. Of the Maxis, the ever-evolving ‘Wild Oats XI’ has not missed a Rolex Sydney Hobart since her launch in 2005. Her participation has been more than impressive, claiming line honours on eight occasions, itself a record, and the triple crown (line honours, race record and overall victory on handicap) on two separate occasions. Last year’s race proved to be her least fortunate, due to a torn mainsail that forced her to abandon the competition during the first night at sea. The 2016 edition represents a chance to re-exert her dominance, made poignant seeing as it is the first race since the passing of Bob Oatley, the yacht’s inspirational original owner. Last year’s line honours were claimed by the American yacht ‘Comanche’, who will not feature this time. And, while ‘Wild Oats XI’ is favourite to arrive first in the port city of Hobart, competition for this honour remains fierce. Anthony Bell’s ‘Perpetual LOYAL’ won line honours in 2011 and has frequently featured among the frontrunners ever since. Finnish sailor Ludde Ingvall, who won line honours in 2000 and 2004 with yachts named ‘Nicorette’, owns the recently launched ‘CQS’, a radical transformation of the 2004 ‘Nicorette’. Extended from 90 to 100 feet, the yacht reportedly pushes the boundaries of design technology. Among the most noticeable features are the reverse (or Dreadnought) bow, an outsized bowsprit, ‘wings’ that spread the shroud base and a wider cockpit area. ‘CQS’ also features the technically sophisticated Dynamic Stability Systems (DSS). DSS is a patent system that utilizes retractable foils to reduce heel angle and provide progressive dynamic lift, increasing power and reducing drag. Completing the line-up of 100-footers is the Hong Kong entrant ‘Scallywag’, the former ‘Ragamuffin’. If conditions prove favourable, the frontrunners will be keen to break the existing race record of 1 day, 18 hours, 23 minutes and 12 seconds set by ‘Wild Oats XI’ in 2012. The nine former winners of the event, including ‘Wild Oats XI’, will all be striving to reclaim the event’s most coveted prize, the Tattersall’s Cup and a specially engraved Rolex Oyster Perpetual Yacht-Master 40 timepiece awarded for outright victory on corrected time. Yet the race is notoriously hard to predict. The skill and performance of the competition, as well as the prevailing weather will have a significant effect on the outcome, inevitably favouring different yacht sizes at different points. The strength and direction of the wind and the resultant state of the ocean play critical roles. How crews approach these elements and manage their resources throughout the days and nights at sea will be decisive. In 2004 while a huge southerly buster saw many competitors seek more sheltered waters close to the NSW shore, the crew of the 55-ft British yacht ‘Aera’ headed offshore in search of the perfect windshift that would drive them to the finish. This daring move would win them the overall prize and prove conclusively that courage in one’s convictions, even under extreme pressure, is a fundamental quality required to succeed in this race. The defending champion is the 52-foot ‘Balance’, owned by Paul Clitheroe. Having triumphed under the guise of ‘Quest’ in 2008, ‘Balance’ is in fact a two-time race winner. Repeating last year’s triumph will be a tall order. Claiming back-to-back victories has proved impossible for any crew in recent years, proof of the race’s unpredictability and unforgiving nature. The event, throughout its proud history, has attracted international entrants and sailors of note. Its first overall winner was the 30-ft British yacht ‘Rani’, skippered by Captain John Illingworth, one of the race’s co-founders. Line honours winners have included famous names from yesteryear including Eric Tabarly’s ‘Pen Duick III from France in 1967; Sir Max Aitken’s ‘Crusade’ from the United Kingdom in 1969; dominant offshore yachts from the United States such as Jim Kilroy’s ‘Kialoas’ in 1971, ‘75 and ’77; and Ted Turner’s ‘American Eagle’, 1972. The 72nd edition starts on Monday 26 December. Ludde Ingvall – Remember Him? He is Finish born, studied at UCT student and is an avid sailor. Plus he is a man with a mission too as he project managed the build of Padda Kuttell’s Whitbread boat, ‘Atlantic Privateer’ that included an almost exclusively South African crew. He put the high-profile ‘Italtile’ campaign together for the South Atlantic Race. Since then he has done a lot of racing in various parts of the world, and now resides in Australia. He is a two-time line Honours winner of the Rolex Sydney Hobart Race when he took the honours in 2000 and 2004 in a boat named ‘Nicorette’. Plus he has won the Fastnet Race – putting him amongst an elite group of sailors. He’s back again in the race this year with his old boat, but in a completely modified form, and his eyes firmly set on Line Honours. Ingvall unveiled major modifications to his former 90 foot yacht when it emerged from the boatbuilder’s shed in Tauranga, New Zealand. It has taken over a year to transform the yacht, from a fairly conventional 90 footer to a striking 100 foot super maxi. – renamed ‘CQS’ after its principal sponsor. The distinctive new hull shape features a reverse bow, an outsized bowsprit, ‘wings’ to spread the shroud base supporting the mast and a wide platform across the cockpit area. Amongst the innovative features of this re-modelled yacht is a ‘Dynamic Stability System’ (DSS), comprising an underwater wing, which augments the righting forces of the keel, believed to be one of the largest and most technically advanced of its kind ever used. The America’s Cup Endeavour Junior Hobie Wave Regatta will be held 20-26 June 2017 in Bermuda. The America’s Cup is the pinnacle of competitive sailing. Teams from the United States, France, the United Kingdom, Japan, New Zealand and Sweden will race the 2017 America’s Cup in Bermuda, aboard amazing wing sail foiling catamarans that literally fly across the water. The Hobie Wave is a catamaran just right for the young sailors of the America’s Cup Endeavour Programme. Hobie has provided Waves for the use of school-aged kids in Bermuda, New York, Chicago, and Toulon. The kids see the America’s Cup boats and then the Hobie Wave and instantly get the connection. “The Waves are just like the America’s Cup boats but smaller, so you can experience how the America’s Cup catamarans feel,” says Rose, a Bermuda High School student. “It takes a crew to go fast so you can build team work.” Just like on the America’s Cup boats. In an exciting development, teams of two youth sailors from around the world are invited to race aboard Hobie Wave catamarans on the big stage of the America’s Cup next summer. Just like the America’s Cup, teams will hail from France, the United Kingdom, Japan, New Zealand, Sweden and the United States. The host country Bermuda will have a team, as will as many other countries as possible – up to 16 total. Qualifying races will be contested leading up to the main event: the Hobie Wave halftime race in front of the America’s Cup TV cameras and thousands and thousands of spectators on June 24, 2017. All sailors need to be 15 years old or younger by December 31, 2017 and they need to be members of the Hobie Class Association. Applications should be submitted to David Brookes, Executive Director of the International Hobie Class Association, no later than 31 January 2017. Visit Hobie’s America’s Cup Endeavour webpage for more information including the notice of race and application instructions. Will a South African team be competing? Let’s jolly well hope so. Where is the FUN in sailing? I have banged on about this subject many times before, yet it is a subject that will simply not go away, and which I feel too few people take any cognisance of – or seriously attempt to change the status quo. A new thread on the Scuttlebutt blog brought new comments, especially when the issue of courses raised. It seems as if people are now bored with the continued diet of Windward/Leeward courses they are expected to digest week in and week out. In my formative sailing days the only course we sailed was the Olympic Course – a series of triangles and sausages, and loads of upwind work. The wing mark on these courses was often a place where races were won or lost, and where one could see, quite plainly, those who had been practising and those who had spent too much time in the pub! The tight reaches were tough, really tough, especially in big wind, and crew had to be strong and fit to sail those to their maximum. They were fun courses – hard and with lots of variety – and a bugger for the inexperienced Race Officer to set correctly! Craig Leweck’s thoughts about race courses deserve consideration. Fun is at a premium these days. Sailing is just one place that could use something more than gritted teeth as boats repeat the windward/leeward routine. I know the old adage about winning being the only thing. But while I haven’t yet read the 2017 RRS, I’ll assume there’s no rule that prohibits having fun along the way to the finish line. With a more interesting course, there’s more fun for the whole fleet — not just the winner. A course I’d like to see revived is the one Harry Anderson brought to college sailing from the Adirondacks. The shape and curvy nature of those Adirondack lakes required creative course setting. The Anderson Course – still in use at Yale, I think, at Harry’s Alma mater. The course goes like this: start; round weather mark to port; round reach mark to port; jibe and (another reach) leave committee boat to starboard; jibe and reach to the bottom mark, round to starboard; beat to the finish. Or you could add a leg to the weather mark and finish downwind. “Try it. It’s fun” said Roger Vaughan. Gregg Morton. I echo Craig Leweck’s sentiments in his editorial, ‘What Was Old Becomes New Again’. When the windward leeward course took over, this was exactly the reason why I stopped racing a Snipe. It just stopped being fun, sailing the same course over and over again, especially in a boat that is well suited to reach. “Earl was now years removed from his 7 US titles and 2 World titles, so I am not sure if the arguers knew who this old guy in the bar was. But he was right” said Gregg Morton. So, some advice to ALL race organisers – bring some FUN into your sailing events or risk losing more people to the sport! I have to laugh at all the well-meaning theories on why the sport has shrunk. Time is short, duel income families, youth sports, etc. The truth is that we all make time for what is important, and simply stated, regattas have become less important. Why? Because they are not fun anymore. The constant repetition of windward-leeward racing is only well suited to those boats that point high off the start line, have a functional deck layout and a well-skilled crew. All these hyped-up professional sailing teams and race officers want to spend all day on the water, leaving little time for the kind of socializing that is fun too. The boats haven’t disappeared. The people haven’t disappeared. What has disappeared is the fun. Gear more events for the masses and, with some serious outreach, the masses may return. The Vendee Globe Race is taking place right now, as are competitors attempting to break the Jules Verne Round the World Race record. On November 20, Thomas Coville and the 31m maxi trimaran SODEBO ULTIM passed the longitude of Cape of Good Hope, establishing a new reference time to the southernmost tip of South Africa for the Jules Verne Challenge. By 29 November, the same boat and crew set a new time for crossing the Indian Ocean in 8 days 12 hours and 19 minutes… or 23 hours and 47 minutes better than Francis Joyon in 2007. Vendee Globe leader Alex Thomson came within a whisker of setting a new world record for the furthest distance sailed solo in 24 hours before a collision in the South Atlantic put paid to his chances. Data revealed that Thomson, the sole Briton in the singlehanded round the world race, had sailed 535.34 nautical miles when the starboard foil of Hugo Boss was ripped off by a submerged object. The distance sailed by Thomson is actually greater than that set by reigning Vendee Globe champion and current record holder François Gabart, who notched up 534.48 nautical miles in the 2012/13 edition of the race. However the official rules of the record state it must be broken by one whole mile in order to be recognised – and Thomson’s distance falls short of that by just 259 metres. But he did break the record for the fastest ever passage from the Vendée Globe start line to the Cape of Good Hope. Thomson’s ‘Hugo Boss’ passed the famous milestone on the tip of South Africa in 17 days, 22 hours and 58 minutes since beginning the epic solo round the world race from Les Sables d’Olonne in France. Armel Le Cléac’h smashed the race reference for the passage from Les Sables d’Olonne to Cape Leeuwin, breaking the mark set by François Gabart in December 2012 by an incredible five days 14 hours and 26 minutes. ‘Banque Populaire VIII’ skipper Le Cléach took just 28 days 20 hours and 12 minutes to reach the longitude of the SW corner of Australia. The invention of plastics has been one of the most wonderful and terrible things to happen to this planet. Currently, plastic pollution in the ocean is an enormous, increasing problem that we don’t really know how to fix. It is more than turtles confusing plastic bags for jellyfish, more than seabirds with six-pack rings around their necks and whales caught in lost fishing nets. Yes, litter is unsightly, but most people do not realise that the most dangerous plastic is that which we can hardly see. When large pieces of plastic enter the ocean, via illegal dumping, accidental spills or swept off the land by wind and floods, it may take years and years to degrade. Some types of plastic wear down into small pieces when exposed to the sun’s UV rays and ground against other plastic. In this degradation process, they may release toxic chemicals into the ocean. For example, a common building block of plastics is BPA, which interferes with the functioning of animal hormones and has the potential to cause knock-on effects within a species and into an entire ecosystem. Buoyant plastic provides an ideal, well-lit surface on which algae can grow, and scientists have only just figured out that this is an issue. For years we have been finding dead pelagic seabirds filled with rubbish – as if they had chosen to eat it! The reason is horrifically simple: this type of seabird relies on scent to forage, and algae produce a fishy smelling compound that attracts and confuses these wide-ranging birds into consuming plastic, leading them to die. Microscopic pieces of plastic pose a more complicated threat. Microbeads from personal hygiene and cleaning products and plastic microfibers from some synthetic fabrics are too small to be filtered out of urban and industrial wastewater and end up in the sea. Recent studies have found that many filter- feeding species and life forms, such as zooplankton and fish larvae, cannot discern between their natural food and microplastic. Ingesting microplastic negatively affects their development and may lead to smaller population numbers of species with planktonic life forms. As plankton form the base of the oceanic food web, this means that most species that rely on the sea (including us) may end up eating plastic-filled animals or experience a dwindling food source. As you may be realising, we are only just waking up to the extent to which plastic pollution is a problem. Hopefully, you now understand a bit more and will be more aware of every piece of unnecessary plastic that you come into contact with. Look for Polyethylene (PE), Polyethylene Terephthalate (PET), Polypropylene (PP), Polymethylmethacrylate (PMMA) and Nylon in face and body washes and avoid them! About the Author: Lily Bovim has a BSc in Marine Biology and Oceanography and an Honours degree in Biology, both from UCT. She is excited by many scientific topics and is happiest when peering into tidal pools or reading fiction. NATO says its “Ocean Shield” operation, as well as European Union and other counter-piracy missions, have significantly reduced attacks, with no ships captured off Somalia since May 2012, down from more than 30 ships at the peak in 2010-11. After more than a decade of NATO-led operations far beyond its borders, the US-led military alliance is shifting to defend its territory to deter Russia in the east, following Moscow’s 2014 annexation of Ukraine’s Crimea peninsula. Earlier this month, NATO broadened its operations in the Mediterranean to help the European Union stop criminals trafficking refugees from North Africa. The passenger steamer ‘SS Warrimoo’ was quietly knifing its way through the waters of the mid-Pacific on its way from Vancouver to Australia. The navigator had just finished working out a star fix and brought the master, Captain John Phillips, the result. The Warrimoo’s position was latitude 0 degrees x 31 minutes north and longitude 179 degrees x 30 minutes west. The date was 31 December 1899. Captain Phillips was prankish enough to take full advantage of the opportunity for achieving the navigational freak of a lifetime. He called his navigators to the bridge to check and double check the ships position. He changed course slightly so as to bear directly on his mark. Then he adjusted the engine speed. The calm weather and clear night worked in his favour. At midnight the “Warrimoo” lay on the Equator at exactly the point where it crossed the International Date Line! The consequences of this bizarre position were many. The forward part of the ship was in the Southern Hemisphere and the middle of summer whilst the stern was in the Northern Hemisphere and in the middle of winter. The date in the aft part of the ship was 31 December 1899. Forward it was 1 January 1900. This ship was therefore not only in two different days, two different months, two different seasons and two different years but in two different centuries – all at the same time. Must have played havoc with the crew’s iphones. I suggest that all keelboat and sea-going catamaran owners, skippers and sailors read this Marine Notice, issued by SAMSA, and which covers the ‘Approval of Lifejackets and Buoyancy Aids and the Compulsory Standards for Lifejackets used on South African Vessels’. I won’t comment as recreational boating legislation tends to get my blood boiling! Once again the stories behind the Rolex World Sailor of the Year Awards mark out sailing as a sport that encourages and rewards determination, precision and passion. It is never enough simply to possess talent, although there was plenty of that in clear evidence as the sailing world gathered in Barcelona to celebrate the achievements of some of its finest athletes; those individuals who have delivered outstanding performances throughout the past twelve months, all in the pursuit of excellence. “This is a very emotional moment in a very long sailing career. It is a win for ‘us’ because I could not have done it without Cecilia. I want to thank all the other nominees, they are athletes I really admire. Only the very best win gold medals at the Games, and I have a lot of respect for all the other nominees” said Lange. I am not one for too many regulations as I firmly believe that we should be educating rather than legislating. Plus I also believe that regular two-way dialogue between the authorities and the actual hands-on players is very important, rather than a one-sided big stick approach. So I am encouraged to see what happens in the USA. The U.S. Coast Guard’s Office of Auxiliary and Boating Safety has released the Strategic Plan of the National Recreational Boating Safety Program for 2017 to 2021. All good advice – especially the use of the word “encourages’. 24 countries, including South Africa, and the European Union have agreed to create the world’s largest marine park in the Antarctic Ocean – an area covering a massive 600,000 square miles of ocean. The sanctuary will cover more than 12 percent of the Southern Ocean, which is home to more than 10,000 species including most of the world’s penguins, whales, seabirds, colossal squid and Antarctic tooth fish. Fishing will be banned completely in 425,000 square miles of the Ross Sea, while areas designated as research zones will allow for some fishing for krill and sawfish. A few issues back I wrote about the future of the Laser Dinghy as the RS Aero and Melges 14 are making inroads as they are far more modern boats, much, much lighter, more comfortable by a country mile, and quite simply nicer to sail. Now those are NOT my comments having sailed them, as I have not, but comments and advertising blurb from others who have. Once a sailor always a sailor would be a better adage for Laser sailors especially the more experienced ones. Most of us sailed one or other dinghy before returning to the Laser fold for one simple reason – “it is not the boat, it is the fleet”. We all like to go to 60 or more boat regattas as opposed to 5 or 6 boat regattas. Only the Laser class does that today and hopefully in the next few years it will grow back to fleets of over 100. The stats show that last year offshore Durban had 60 boats with many of the better SA sailors fighting for the honours. This year at Swartvlei, there were more than 60 boats with very few from North Vaal (the home of many Laser sailors) and lots of Eastern Cape sailors. So let’s bring the sailors from all provinces to the next nationals on the Vaal Dam and break the Midmar record of nearly 100 boats. One can only agree with what Campbell says as big number regattas are far more fun than those with just a smattering of boats. However he failed to mention the negative issues about sailing a Laser! The following thread, again from Scuttlebutt, caught my attention. Regrettably a highly abridged version of what longtime sailor and scribe Kurt Hoehne observes on the changing singlehanded dinghy landscape. Both the new boats are surely better than the Laser. They’re 40 years newer and have the advantage of current materials and construction techniques. If they’re not better, RS and Melges have really screwed up. Which they have not. Both companies are clearly committed to making a great product. No, the real question is, what’s the future of the Laser class? Most of the 210,000 boats built are still around. There are active fleets worldwide and an extremely well-established class association. And you know what? It’s still a great sailing boat. Thanks Bruce, Bruce and Hans. My long-term relationship with the Laser and Fleet Demise. For me personally, it’s painful. I pined for the boat when it was new and I was too small. I fussed over my first used lime green Laser to no end as a teenager. Since then I’ve sailed a succession of Lasers, dragged them all over the Midwest and Northwest to regattas I would never win. I’ve been beaten up by the boat more often than I can remember. Many times my extremities have required hours to get back proper circulation and my muscles days to relieve soreness. I’ve been sunburned and bruised to the extreme. Yet, I love her so. To make things interesting in our weekly racing, we (~5 Lasers) start on the (~7) Aero’s preparatory signal (one minute ahead on a three minute sequence) and try to hold them off to the finish. It’s not as satisfying as, say, 12 boats of the same kind. So, yes, it’s painful to watch the dwindling fleets. And I’ve gotten a bit grumpy about it. But sailors have voted with their booties and have either quit sailing or made the move to the younger, sexier Aero. Maybe it’s even time for the Laser and SLF to die. Maybe not. The more I think about it, the more I realize that it’s not time for the Laser or my dear SLF to die, but to adapt. The Laser has always had its problems. So, for all you haters out there, here’s my list of top Laser ‘issues’ to which I’m sure you can add. One of my Laser sailing friends, who’s been near the top of the Laser fleet nationally for several years, asked rhetorically, “If it’s not an Olympic boat, why would you sail a Laser?” He’s about done with the boat, and after the thousands of hours he’s put into it, I can’t blame him. • They’re just flat out good looking. So Where Should the Laser Point? Many classes have been “out-designed” and live happily on. The Star, Opti, 505, Thistle, Snipe, Daysailer, and Shields are some that come to mind. Several of these have a development aspect that keeps sailors engaged. Others are so ubiquitous and accessible that they just keep going. When the pressure of super-competitors has moved to other classes, some have even thrived more. Everybody talks about Olympic status as a great thing. I’m not sure it is. I was sailing Lasers long before it was an Olympic class and it was just as fun and popular, if not more. Basically, I see the Laser returning to its humble, non-ultra-competitive roots. I believe it can live happily there coexisting with the new boats while providing a good option for a lot of sailors, especially the crop of great high school sailors coming up. SOS was selected purely because it could be very easily transmitted in Morse code during distress (dot-dot-dot, dash-dash-dash, dot-dot-dot). Only later did the likes of ‘save our souls’ emerge. This four book ‘Sail To Win’ series is aimed more at dinghy sailors than those who venture further offshore in bigger boats. Two of the titles we have previously reviewed, so emphasis will be placed on the two newer titles. In the September 2015 issue we reviewed ‘Coach Yourself to Win’ by Jon Emmett. This book takes you through the 12 fundamental elements of successful sailing, providing detailed analysis, challenging exercises and useful top tips on each concept. Every chapter is also closed with not-to-be-missed advice from Olympic medalists. In the February 2016 issue we reviewed ‘Helming to Win’ by Nick Craig. In this book he provides you with the tools you need to make the transition – just as he did – from club racer to championship winner. Packed full of intelligent insight, brilliant top tips and engaging photo sequences, it will have you following in his winning footsteps. ‘Tuning to Win’ and ‘Wind Strategy’ now complete the series. ‘Tuning to Win’ is written by Ian Pinnell who has been winning World, European and National sailing championships for over 30 years, as well as being one of the UK’s leading sailmakers and chandlers. In this book he unravels the mystery of boat tuning and will help you to improve your boatspeed. Since most races are won or lost by a difference of less than 2% of racing time, you will soon be moving up the fleet. With hundreds of photos and diagrams to illustrate every point, the book clearly explains what each control does and how to set it up optimally for different conditions. Additional troubleshooting and skills sections take thing things even further, making this the bible of dinghy tuning. ‘Wind Strategy’ is written by David Houghton and Fiona Campbell – and both are uniquely qualified as both weather experts and sailors. The wind powers everything a sailor does, and this book will help you to understand it. As a result you will be more prepared for your race, able to anticipate changes in the wind better and know what to do when they come. It’s the go-to wind book for dinghy champions since its first edition 30 years ago. So, if you are serious about winning and want to study exactly how Olympic medalists and World Champions win, get these books and study them. Get them from SAILING Books. The first man fumbled through his pockets and pulled out a lighter. He flicked it on. “It represents a candle,” he said. “You may pass through the pearly gates,” Saint Peter said. The third man started searching desperately through his pockets and finally pulled out a scanty pair of knickers. • How about the Simonis –Voogt ‘Far East 28′ as the Lipton Cup boat? • I enjoy ‘Talking Sailing”? I still have a good chuckle when ‘IGI Express’ finally got to port in the ‘79 Uruguay race and you guys gave ‘El Docktor’ a tumbler of grog when he embarked – disembarking totally stoned! • Your comments on Seniors and Lasers hanging on to the bitter end made me reflect that I may be the longest still sailing a Laser in SA. My first Laser came out of the second container (from Ireland) landed in the country in Port Elizabeth, the first being in Cape Town. That was in about 1976. Cost all up around R700! • How refreshing to be able to read an article with no grammar errors or spelling mistakes – OR – bad use of the English language. Having grown up in a very Afrikaans environment with hardly the ability to string 3 English sentences together when I left school in 1963, I made it my business to learn English. I made a positive decision to learn English as it is spoken and understood by the world – not just the ‘tight top button’ of the Queens English, but an English that I can easily learn and communicate with the rest of the world. Richard, thank you for your constant input and comments in sailing. I do not have the traditional history of much of what you write about, but when I read your newsletter it warms me to know that there is still a Mother Country where life goes on. Dan & Charlotte Mathee – Australia. • I REALLY enjoyed your piece about L26 074, Nankin, Davis etc.. I suppose these days the lack of depth in the event is really a sign of the times. At this point any new boat class is unlikely to grow in the numbers required to give the Lipton Cup new life in my opinion, attractive as that idea might be! • “Talking Sailing” is something I so look forward to – and then there is silence in the office from me as I devour nearly all the articles. Some giggles and always a wealth of interesting angles and stories and opinions – and some from folk, once known and contact lost. Really enjoyed Mugsie’s article and this months response, (To Tether Or Not to Tether )as this was a subject close to Chris Bonnets heart as he insisted on trainers wearing them. I recall that on our Atlantic crossing in 1982, that it was only a handful of times that either of us felt the need to wear them. Very interesting. CONGRATULATIONS and well done as informative, some good, punchy and often prickly topics are handled with straight shooting and well written. So onwards and upwards. Libby Bonnet. • A bit of useless information. In the ‘60s the Skipper was acknowledged, not the crew. We won the Sprog Nationals in 1968 and were selected to sail at the “One of a Kind” regatta in France, but that never happened thanks to Politics. We received our “Transvaal Colours” in the mail with a letter of congratulations and an Invoice for R5.00. Springbok colour class yachts were: Finn, FD – only later 505 and Fireball were added. I sailed a Contender and competed in two “World Titles” – it was not a Springbok colours yacht then and never was, although we had selection trails we were never recognised. Contender still has 90+ at a World Titles today. The International Sailing Federation at the time claimed the craft too athletic for Olympics! The price of an international airfare in 1972 was R305.00 and five stop overs. We stood in shopping centres trying to sell a fifty cent ticket to win a Bakkie given to us at cost to get to the Worlds. 2016 You’ll have to wait a little longer for this!